ObjectRocket offers different products now, but our original was MongoDB as a Service. Our MongoDB infrastructure has been specifically designed to be scalable, performant, highly available, and most of all easy to use! We offer easy provisioning through our Control Panel and once created can be accessed through any of the standard MongoDB connection methods. We define an instance on our platform as a highly available cluster, which can have multiple databases underneath. 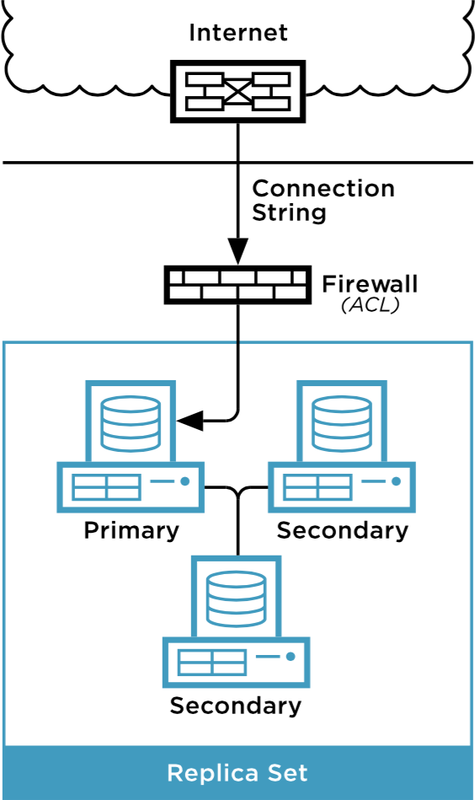 You’d manage each instance as a whole, with it’s own connect string and ACL’s, as well as individual databases and collections inside. We currently offer three different types of MongoDB plans: a sharded version, a simpler replica set, and a single database. Let’s go over each to see what might fit your usage better. Our Sharded MongoDB plans are designed for workloads that need to be distributed across multiple machines. This is typically needed for larger data footprints or workloads that have a high level of throughput. We offer Sharded MongoDB instances in 5G, 20G, 50G, 100G shard sizes. If you need something bigger, we can support that as well. Just contact one of our Data Specialists. A shard is comprised of a three member replica set (1 Primary + 2 Secondaries). This is for data redundancy, fault tolerance, and provides us with the ability to do maintenances in a MongoDB best practice way. When you add shards to an instance, they will come based upon the plan size that you have selected for that instance (ex: if on a 50G plan, each shard that you add would be 50G). The pricing for that instance will be reflective of the total data footprint across all of the shards. Determining whether or not to shard and how to shard is not easy. For more information on sharding, check out our Sharding and Scaling Guide. If you still have any questions, don’t hesitate to reach out to our Support Team. Our Replica Set MongoDB instances are intended for customers that want the benefits of a highly available MongoDB instance but don’t need the distribution that comes with sharding. We offer Replica Set MongoDB instances in 5G, 20G, 50G, 100G sizes. If you need something bigger, we can support that as well. Just contact one of our Data Specialists. 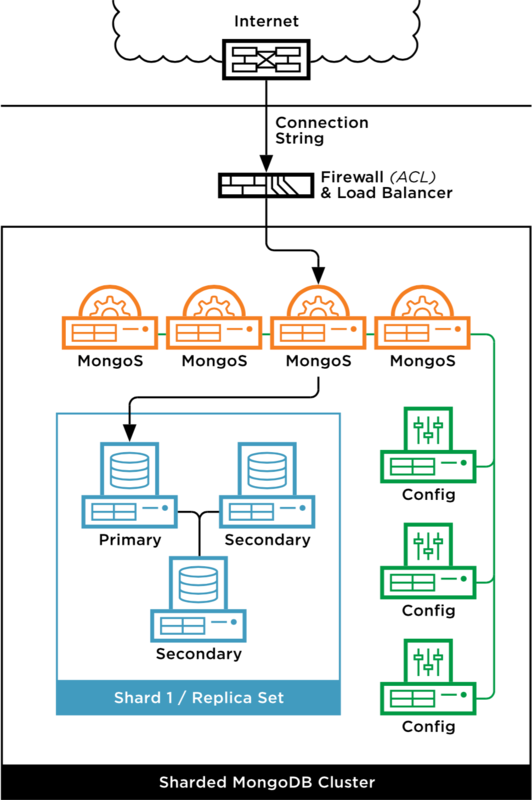 Replica Sets follow the same general approach as our sharded plans with three members (1 Primary + 2 Secondaries) but without all of the Mongo Servers and Config Servers required for sharding. The Primary Node receives all write operations while the Secondary Nodes replicate the Primary’s data. If the Primary Node is unavailable for whatever reason, then one of the Secondary Nodes becomes the Primary, providing the fault tolerance needed. Replica set instances do not offer ServiceNet connectivity, so please keep that in mind. We recommend using Sharded plans for that access, as they have the additional infrastructure needed to support those features. Replica set instances in Azure are limited to a primary data node, a single secondary data node, and an arbiter instead of 2 secondary data nodes. These instances are still highly available and applicable for production environments but don’t have the additional layer of redundancy that comes with an additional secondary data node. We will be adding the option of 2 secondary data nodes to our Azure offering in the future. Our MongoDB SingleDB is designed for projects that require only a small MongoDB footprint and a single database and is also a good way get your feet wet with the ObjectRocket Mongo experience. These instances will start with 1G and a single database. The instance can grow the MongoDB footprint up to 5G but remain just a single database. We will automatically handle the changes in size and only charge for your usage at 1G increments. If you need more than a single database on the instance or need more than 5G, we can switch you over to one of our standard Replica Sets. Just contact our Support Team. All of our plans come with the ability to enable SSL encryption when connecting to the instance. Specific instructions on connecting via SSL encryption can be found in the driver specific documentation in our MongoDB Connections Example section. Keep in mind that all MongoDB types (Replica Set, Sharded, and SingleDB) are not available in all ObjectRocket datacenters. Make sure that you check availability. As always, if you have any other questions about anything you’ve read here, please feel free to reach out to our Support Team!